This blog covers latest information and known issues for the SAP S/4HANA 1709 (SP00 & FPS01) Fully-Activated Appliance. If not indicated otherwise, the issues will occur in client 100 or across all clients. The following issues have been fixed in the SAP S/4HANA 1709 FPS01 fully-activated appliance compared to the SP00 version. The Web Dispatcher proxy parameters (which contained an SAP-internal proxy in SP00) have been cleansed. SAP employees: Usage from the SAP-internal CAL network requires the re-entering of SAP proxy settings. When you create an instance, the initial system performance will be slow, especially within the Fiori Launchpad (some minutes of response time for the logon / first tiles, potentially a time-out). Also, the first click on a Fiori tile will be significantly slower. This is due to initial caching in the system and will become faster if you continue working. Note to SAP administrators: SGEN has been performed to pre-compile ABAP coding. Currently, Amazon Web Services (AWS), MS Azure, Google Cloud Platform (GCP) and SAP Monsoon (only SAP-internal for 1709 SP00) are supported cloud providers for the SAP S/4HANA 1709 Fully Activated Appliance. 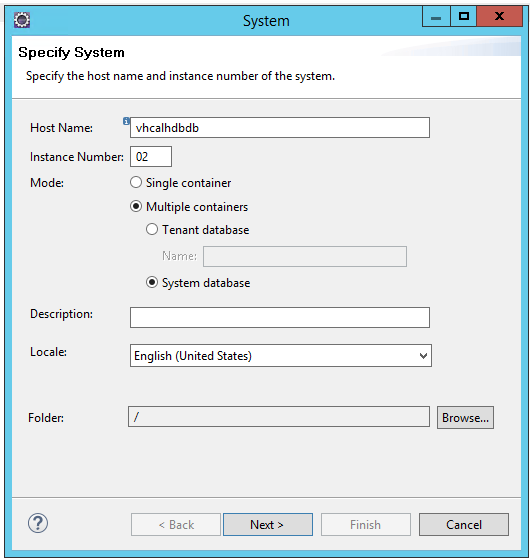 Wrong proxy setting in the Web Dispatcher configuration. This is wrongly configured in the SAP S/4HANA 1709 SP00 fully-activated appliance, so fix this first. Resolution needs access to the Linux backend system of the appliance (via PuTTY/ssh) and takes ~10-15 minutes. This has been fixed in the FPS01 version of the appliance. Note to SAP employees: if you have deployed a 1709 SP00 version of the appliance in the SAP-internal CAL network, you don’t have to touch this setting, proceed directly with step 2 below. If you are using the 1709 FPS01 version of the appliance, you will have to re-enter the two proxy.wdf.sap.com parameters into the Web Dispatcher configuration (see below), since otherwise you won’t have access to the user assistance content. Invalidated certificate for the server that contains the help content. If the corrected proxy setting does not take effect, apply this fix. Resolution is browser-based and takes ~5 minutes. Log on to the Linux backend system as root. You will need PuTTY (or another SSH client) and the private key file (.pem) that was generated when you created the instance. Unless you chose to save it on your own computer, the .pem file can be downloaded from the instance details page. For details how to log on with PuTTY, see this page > How to connect to a running instance via the secure shell protocol (SSH). In Core System > Monitor > Status, choose Shutdown SAP Web Dispatcher from the drop-down menu and confirm. Reload the Fiori Launchpad in your browser to check if the question mark icon with the User Assistance is visible. If not, proceed to 2. 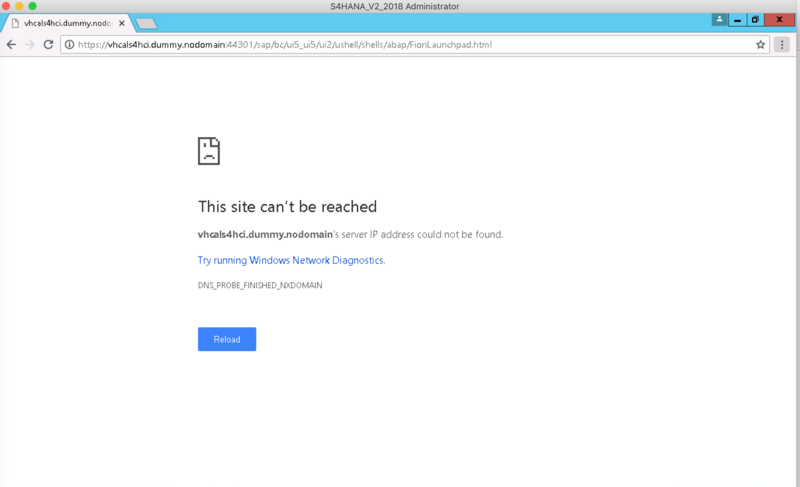 Go to https://xray.hana.ondemand.com/xRayControls/resources/sap/dfa/help/cfg/sap with the Chrome browser (other browsers may work differently). An empty white page should appear. Go to Menu > Core System > Monitor > Click on running drop down menu > Select Shutdown of SAP Web Dispatcher. Confirm the warning message and select Back. Refresh the Fiori launchpad page and you should see the ‘question mark icon’ with the context-sensitive Fiori help items (you might need to clear your browser cache as well). If you click the help icon (question mark) directly on the Fiori launchpad homepage, you will see Guided Tours that are not applicable for the SAP S/4HANA 1709 Fully-Activated appliance, so please ignore them and use the Web Assistant on specific Fiori tiles only. If you log on to the Fiori launchpad in a client different than 100 and try to open WebGUI / Web Dynpro apps, you are prompted with a separate log-on screen or are blocked from access with a security certificate message. You need to remove client 100 from the RFC connection LOCAL_HTTP: tCode SM59 > HTTP Connection to ABAP System > LOCAL_HTTP > Logon & Security > Remove entry 100 in Client field (leave it blank) > Save. When you launch Eclipse on the remote desktop in SAP CAL, you get a “Secure storage locked” error in the systems view tile. Clicking on the Unlock button doesn’t have any effect, and you can not access or create a connection into the HANA database. On the remote desktop, delete the folder “.eclipse” in the users directory of the logged on user (e.g. C:\Users\Administrator if you are logged on with user Administrator). Restart HANA Studio / Eclipse afterwards. When you try to create a new ABAP package in the Eclipse ABAP perspective, the creation fails with error message “Execution of request “POST /sap/bc/adt/packages” failed: 404 Not Found”. Implement SAP note 2574380 (might prompt you to implement another depending SAP note), or create the package via SAP GUI (tCode SE80) and access the package in Eclipse afterwards. On the ‘Manage Customer Returns’ app, it’s not possible to select the Return Document number and to activate the ‘Determine Refund’ button. If trying to access the link ‘ Refund Determination’ from the document number, an error ‘ the request Resource not found’ is displayed. As a workaround, you can use the app “Determine Customer Refund”. The PDF output for order type CBII Invoice Increase Req. is not possible. No output possinle for doc type RK Invoice Correct. Request..
On the “Change maintenance notification” app, assigning an order to a notification is not possible. As a workaround, use the app “Manage Notification List” to assign orders. the yellow-marked link above is only visible for SAP employees or for customers / partners who have been authorised to download the appliance (see note 2041140 for details). Other than that, have fun with the fully-activated appliance. many thanks for your Blogs. But I have another Issue: my Colleagues need in Addition several UI Add Ons, eg. UIHR001, UITRV001 for HR Self Services. 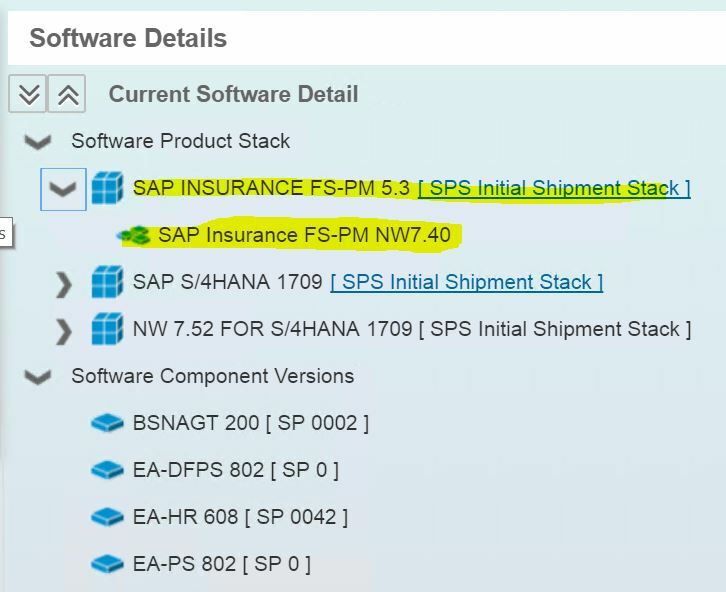 Now there is a Problem with the Maintenance Planner: due to the Component MSGPMCON 200 the Maintenance Planner assumes, that the Component SAP Insurance FS-PM 5.3 for Netweaver is installed in the System. And therefore no Stack calculation is possible (due to NW 7.40). Clean up in Verification won’t correct the Information. In Solution Manager and LMDB the System Information is correct. Any Idea? Normally, there’s an option to ignore such a mismatch in the Maintenance Planner but if that one doesn’t work (or is not even visible), I don’t have a quick solution for that one. Could you open a question in the community for S/4HANA in that case(https://answers.sap.com/questions/metadata/22943/sap-s4hana.html) ? are you mabye behind a corporate firewall ? In general, please use the CAL forum and open a new thread for your issue, describing what you did (and including your CAL user or instance ID). Please don’t append your question to existing threads, it’s easier to follow that way. I had issues to connect using ADT tools. Click on the instance in the CAL console to bring up the instance details and then -> Virtual Machine -> Edit (right lower corner) -> Add (access point) -> <add above ports, as IP range choose 0.0.0.0/0> -> Add -> Save. 2) Add a line to the PRXYINFO tab as follows to allow all traffic regardless of network. I have been trying to activate following appliance but I am having issue. My account is developer and I have activated 1610 and I can use it successfully. Error message says, “The operation Resume is not allowed for the solution instance “. Has anyone activated 1709? I noticed that you posted the same question in the SAP CAL community (see here), and the CAL team is already on it. In the future, please use the CAL community as channel for concrete issues (as you did) since comments to blogs are harder to find & track. And cross-posting in different places is always tricky ;-). My company has a Fully Activated Appliance system (1610). It is currently in use. 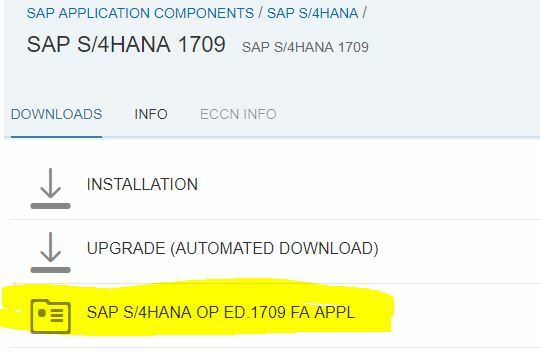 For this reason, we need to change the system ID of HANA and S/4HANA in order to build Fully Activated Appliance 1709 with another instance. We are trying to change the system ID when installing Fully Activated Appliance 1709. If we change the system ID, please tell me what kind of trouble the system will have. if you have installed it on-premise (i.e. received the appliance via download or Blu-Ray discs), you can change the SID during the installation. The guide is attached to SAP Note 2041140. If you use the system via CAL (i.e. hosted), you should have different hardware keys per instance. Do you know “DEMO 21”? (It is an online workshop for installing the Fully Activated Appliance by SAP. I recognize that DEMO 21 and Fully Activated Appliance are the same. When I build multiple Demo 21s on different servers, can I change the system ID of S / 4 and HANA in the way you instructed? yes DEMO21 is re-using the appliance (a few changes here and there but all in all it’s the same image). I am not sure if SID renaming is “supported” (in terms of encouraged as a separate activity in DEMO21) since the delivery format of DEMO21 is a bit different to the regular delivery of the appliance, so please check directly in the JAM group of DEMO21. and a message autentication failed. What can we do to stop this? Did you update the HANA DB connection in tCode DBACOCKPIT (please see the Getting Started Guide page 18 on https://caldocs.hana.ondemand.com/caldocs/help/VA_S4HANA_1709_FPS01_FA_Getting_StartedCAL_V1_0.pdf) ? If this is not the root cause, could you please ask this question in the CAL community (https://answers.sap.com/questions/metadata/24005/sap-cloud-appliance-library.html) since it’s easier to process & comment in a separate thread. Thanks a lot. It was exactly the right solution. We didnt update the DB connection. Its always better to read carefully…. I recently got locked out of the database due to expired license and when i try to connect through Hana studio using the SYSTEM user and password, i’m only able to access the tenant database. When i specify multitenant and use the same credentials, it doesn’t let me login as the SYSTEM user, however i’m able to log in as the tenant which is not what i need to apply the license. How do i access the SYSTEM database in order to apply the license? the HANA license key can be installed in HANA Studio (Multiple Containers > System DB), and the SYSTEM user with your master PW should work there as well. Can you try this on the remote desktop first (to eliminate any port/network issues) ? If you use your local Eclipise / HANA Studio, you might need to open additional ports in the CAL Console (Virtual Machines > Access Points). Typically, the ports 30201, 30213 and 30214 are relevant (as usual, digit 2&3 denote the instance number which is 02 in our case). We didn’t open these ports by default to have tighter security from the Internet. this happens when trying to apply a license in the tenant DB. Add a new system in the HANA Studio and choose “Multiple Containers > System Database” (see below), in the next screen enter SYSTEM user and your master PW. Then apply the license file as you tried above for the tenant DB. If the problem persists, please open a thread in the CAL community (https://answers.sap.com/questions/metadata/24005/sap-cloud-appliance-library.html) since it’s easier to process & comment in a separate thread. We are trying to access the FIORI Launchpad directly on the remote client of our 1709 Trial CAL system and today it gave us an error on the domain. We have not made any changes on the hosts file of the remote client machine, hence what could be wrong? from the error it looks as if the IP address can not be found. Did you specify to use a static IP address for your instance (there’s a checkbox in the CAL console of your instance), otherwise you will get new IPs when the instance is suspended. Other options to check: does the SAP GUI access works (via SAP Logon) ? If not, the S/4 system may not have come up correctly (try to re-boot the appliance in the CAL console). 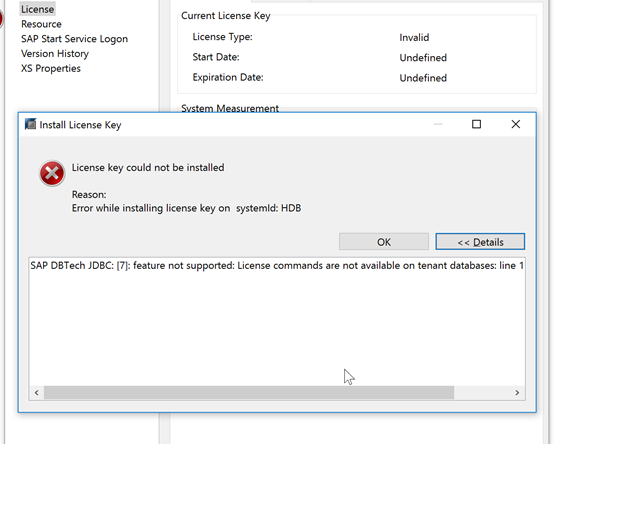 If it’s an SP00 system: License key expiration also sometimes happens (90 days) ? We are getting TP_CANNOT_CONNECT_SYSTEM error from Add-on installation (SAINT). 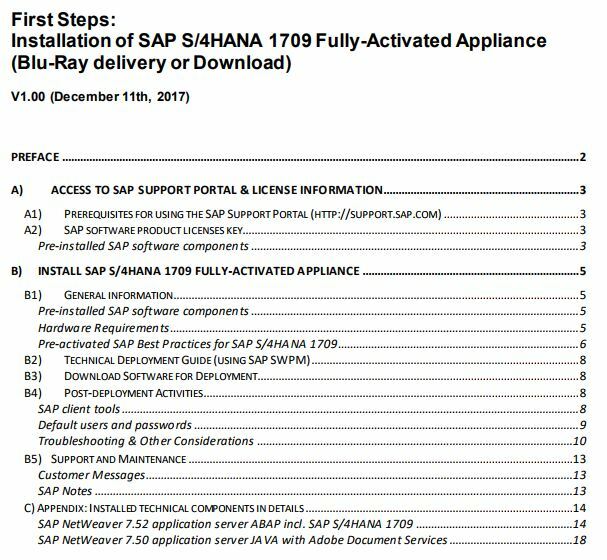 I did see the discussion on 1609 article https://blogs.sap.com/2016/12/22/sap-s4hana-1610-fully-activated-appliance-known-issues/#comment-366213. However not able to apply the solution to my case. which the Add-On Installation Tool is unable to resolve without your input. Continue in the queue display. – TP_CANNOT_CONNECT_TO_SYSTEM: tp cannot log on to the system database. use the detailed tp error message in this log to identify and remove the cause of the error. Verified that /usr/sap/trans/bin was empty initially. I didn’t delete STMS config. One of the Save action I did in SMTS resulted the generation of file/usr/sap/trans/bin/DOMAIN.CFG. The comment in DOMAIN.CFG file inspired me to do STMS -> Overview -> Systems -> Extras -> Distribute TMS Configuration. This generated /usr/sap/trans/bin/TP_DOMAIN_S4H.PFL hence fixed the problem. Note 96907 and 2430126 enabled me to stay on the right direction. Connection to Database of S4H was successful. This is R3trans version 6.26 (release 753 - 19.09.17 - 14:33:00). #This file was generated by the Transport Management System. #Do not change this file using a text editor. #If this file was destroyed, it can be regenerated in the TMS. #configuration. This regenerates the file. I was very excited to try our access to a HANA system. FAGLL03H was one of the transactions that I was very curious about. Unfortunately the transaction is not working. Looks to me like this is not just a customizing fix. Do You know the reason why FAGLL03H is not running? please check if SAP Note 2697953 resolves your issue (in essence this is about re-generating the DB views in tcode HDBVIEWS). I tried this on our S/4HANA 1809 Fully-Activated appliance (successor of the appliance release that you are obviously using), and it fixed the issue there. We simply cannot touch&test every single aspect of S/4HANA within our appliance. But since you are the administrator of your system instance, you can fix&adapt things on your own. Hello Joerg, still under way with your appliance? we have installed S4HANA1709 system using Fully Activated Appliance. Initially system was running and we have done functional configuration as well. However today system went down suddenly and when we checked the traces we could see that dispatcher went down with below errors. When we checked message server trace message service is up and running fine as shown below. Present kernel version is 753_REL PL20 . Any ideas how to resolve this please? not really from this log. I understand you installed the appliance on your own hardware (with a new host name), hence, it should behave like a regular system now where you need to support it. Please try looking for SAP Notes on this matter. Potentially a Kernel update might help (since the one used is pretty old).